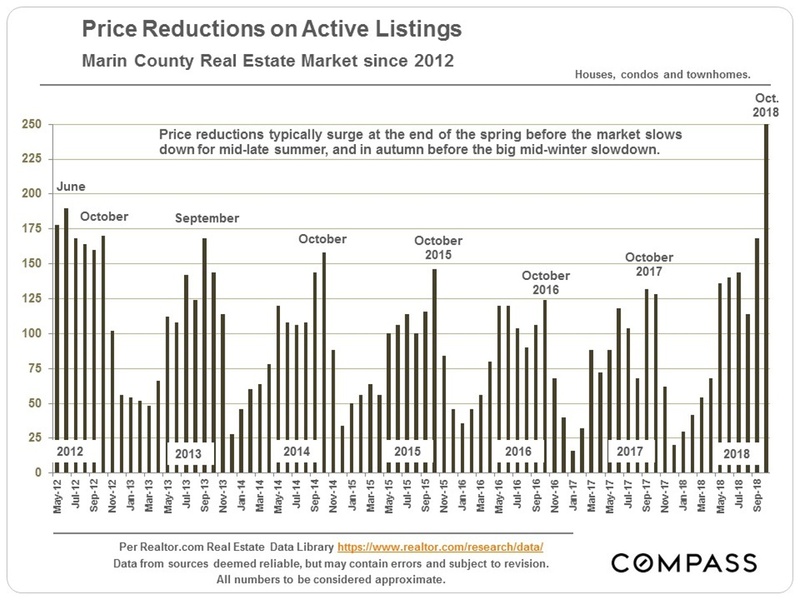 Let’s review the Autumn market for Marin as compared to other counties around the Bay Area. 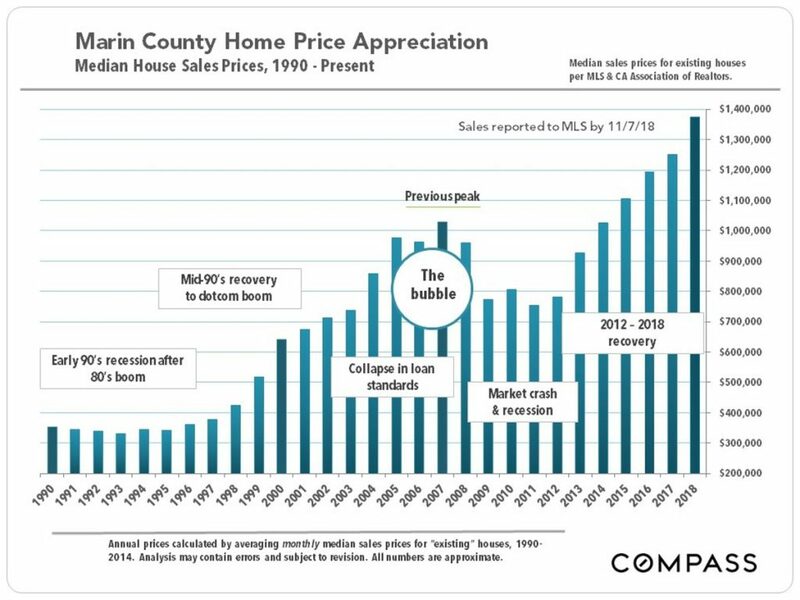 Marin has seen much less dramatic changes than some other local markets such as Santa Clara and Sonoma Counties. 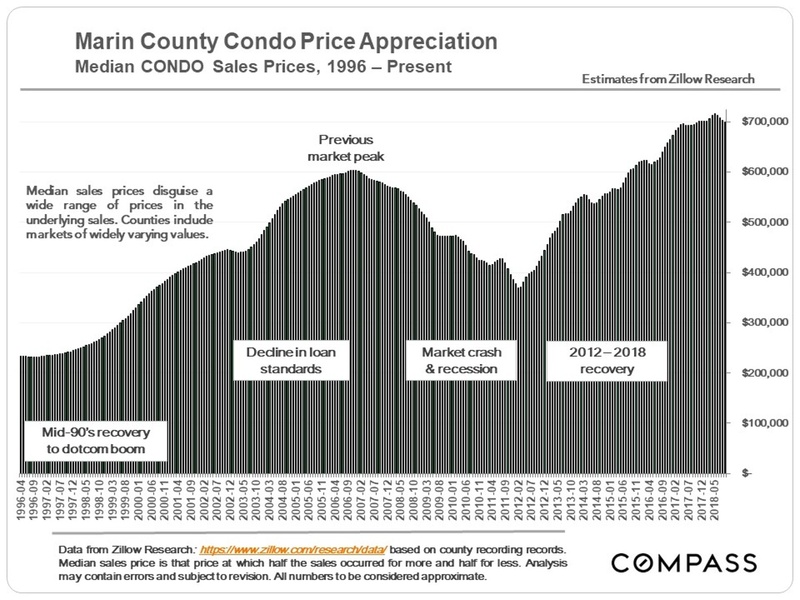 Let’s review the market activity to date for Marin. 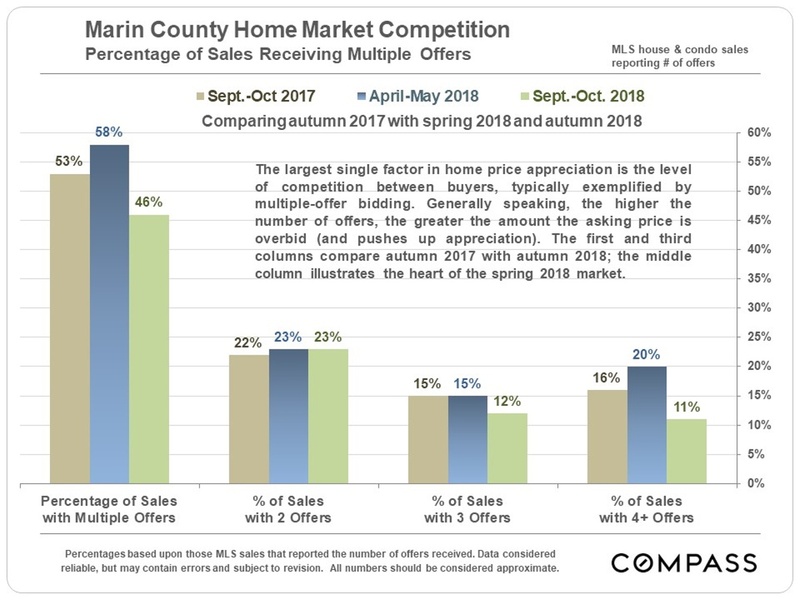 Autumn markets in counties around the Bay Area have seen significant shifts, but with wide variance in the magnitude of these changes between counties. 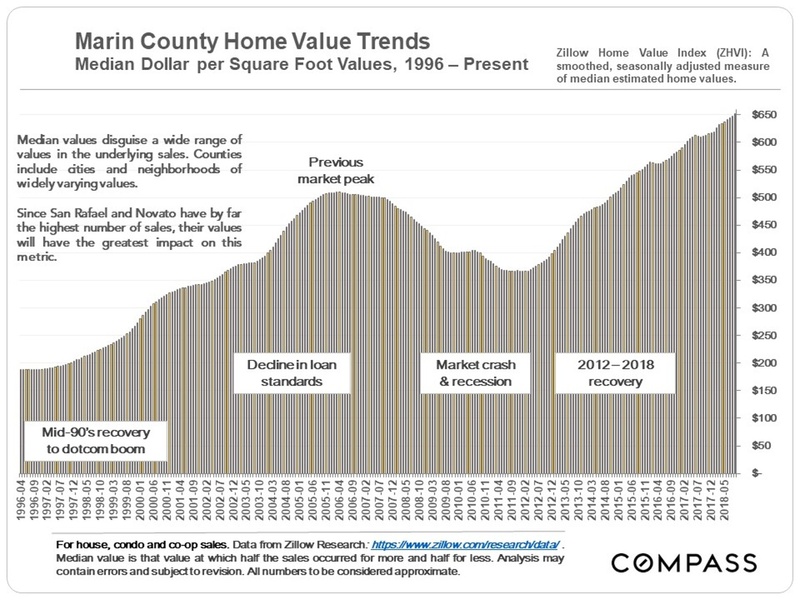 So far, Marin itself has seen much less dramatic changes than some other local markets such as Santa Clara and Sonoma Counties. Homes that sell have generally continued to sell quickly, many after receiving multiple offers. 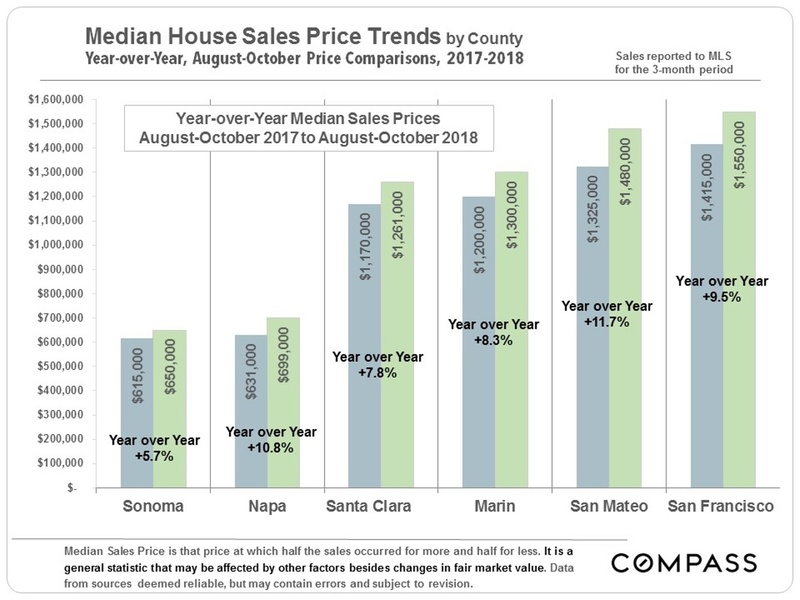 Median sales prices are considerably higher on a year-over-year basis, and luxury house sales were higher in October 2018 than in October 2017. However, listing inventory has climbed, the percentage of sales receiving multiple offers has declined, and the numbers of price reductions and expired listings are increasing. Many standard statistics are lagging indicators and take time to reflect any changes on the ground. They will bear watching in coming months. Year-over-year changes comparing relatively short periods of time – 3 months in the chart below – should be taken with a grain of salt. 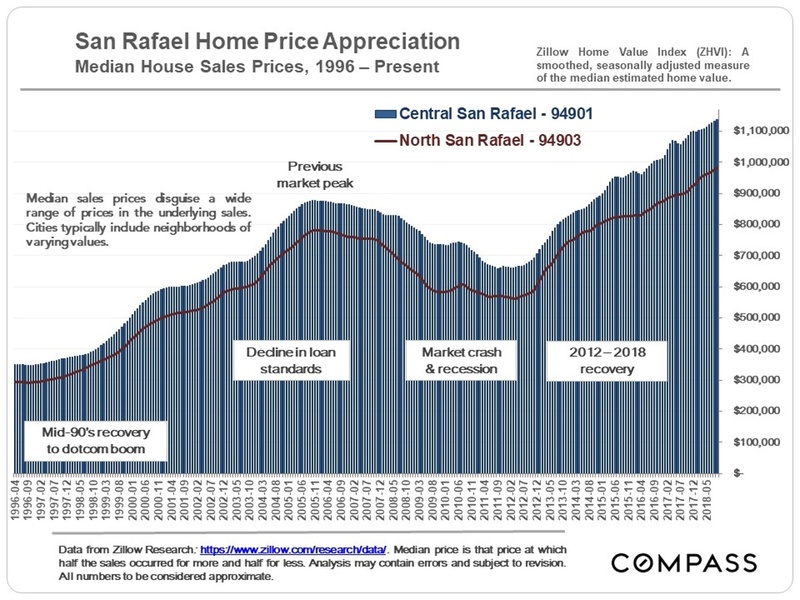 Still, appreciation rates around the Bay Area have been well above inflation rates, though they appear to be slowing since spring. 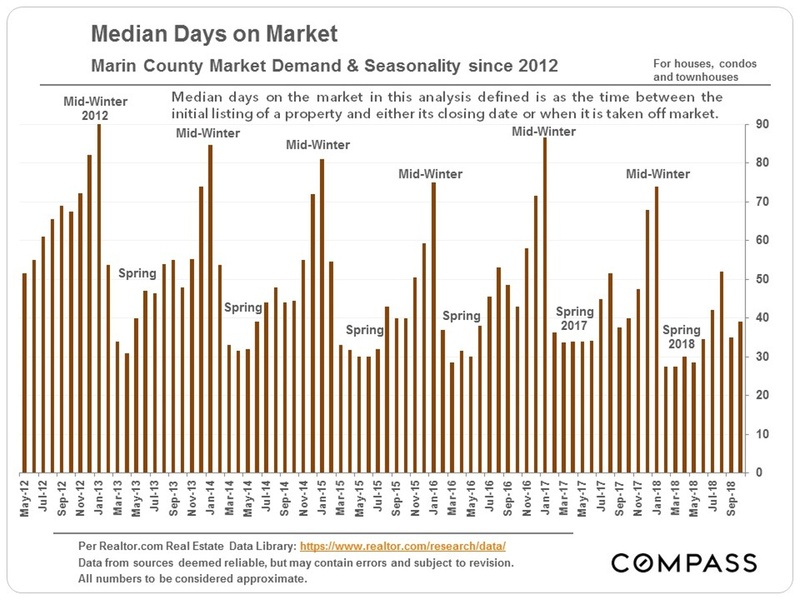 It is not unusual for median sales prices, and indeed most real estate statistics, to fluctuate by month or by season. Supply & Demand Statistics Some changes- but the sky is not falling. Year over year, the number of active listings on the market was considerably up from 2017 and 2016, but similar to 2015 and 2014, and below 2013. 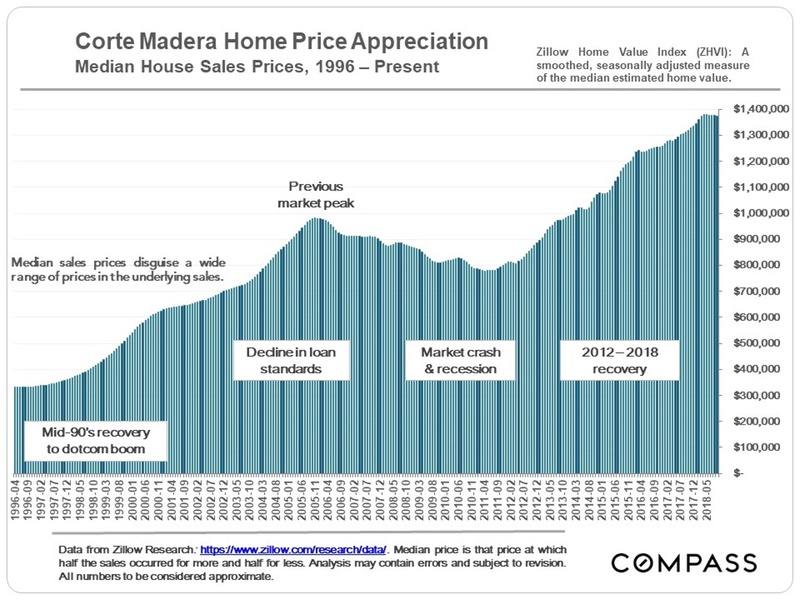 So, a distinct change from the last two years, but certainly not outside the bounds of normal listing inventory since the recovery began in 2012. 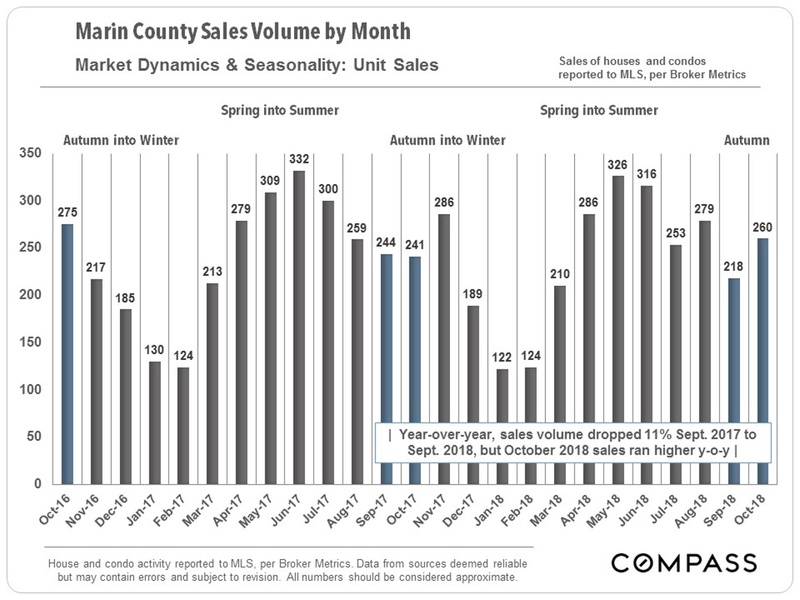 Generally speaking, sales volumes dropped 18% in the Bay Area in September, and dropped 9% in Marin. 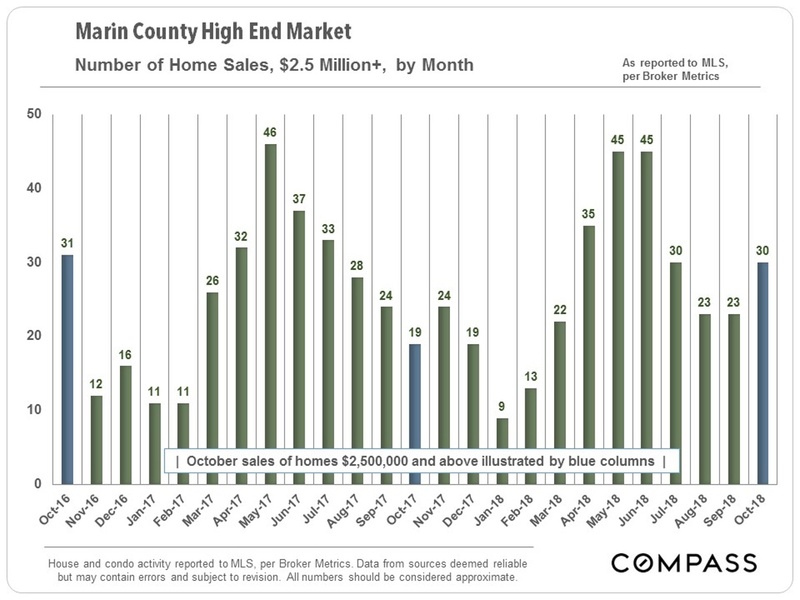 But Marin home sales in October were actually a bit higher than in October 2017 (though a bit lower than in October 2016). 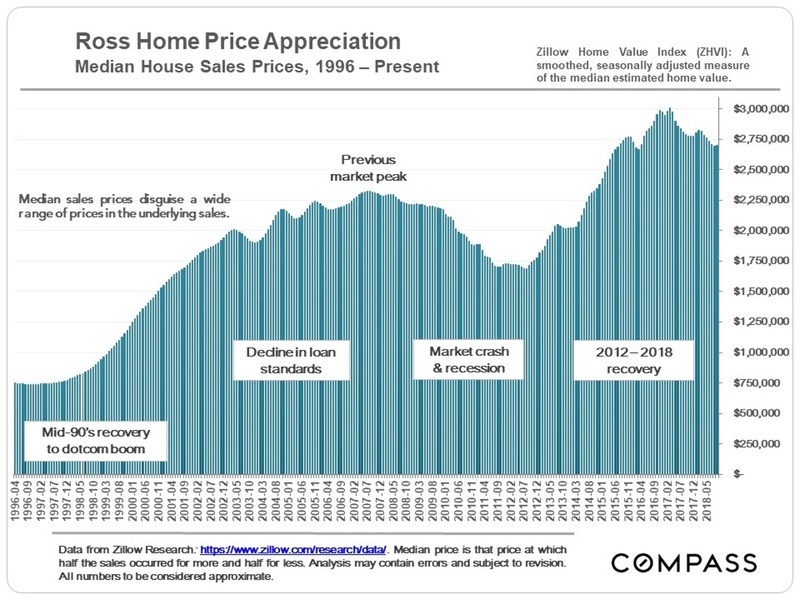 October 2018 saw by far the highest number of price reductions in 6 years, up 89% year over year. However, some other local counties saw y-o-y increases over 350%. 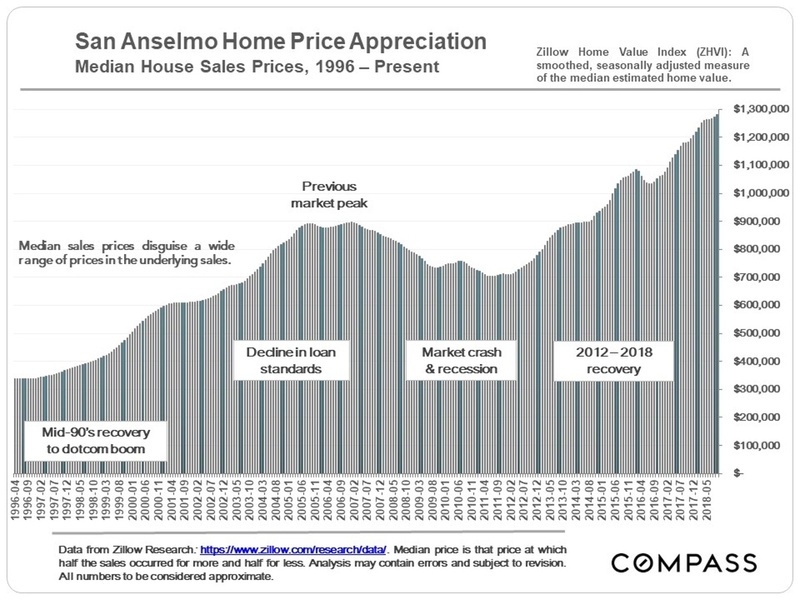 This is an important indicator of changing market conditions, especially if it continues. Competitive bidding declined in September-October 2018, compared to both the hot spring 2018 selling season, and to September-October of last year. 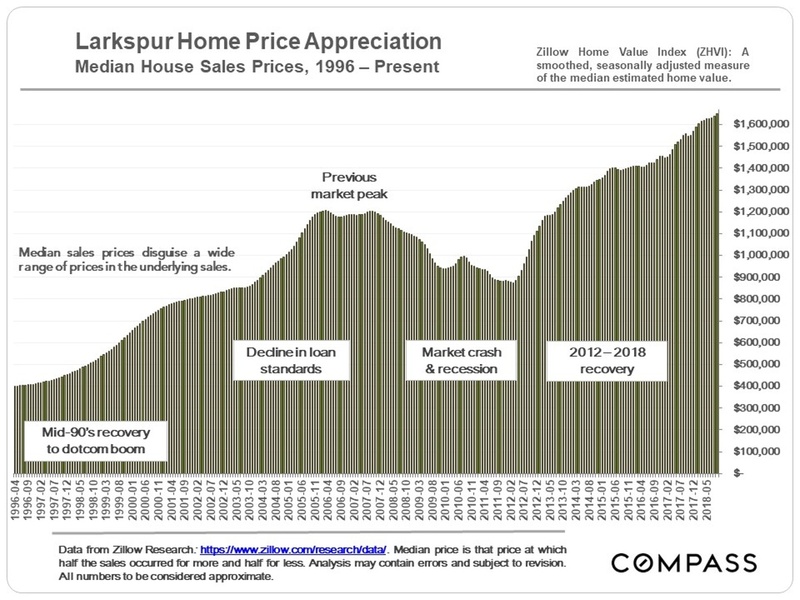 Buyer competition (and overbidding) for new listings is a major driver of home price appreciation. However, the recent percentages, though down over the past year, would still be considered very high from a historical perspective. 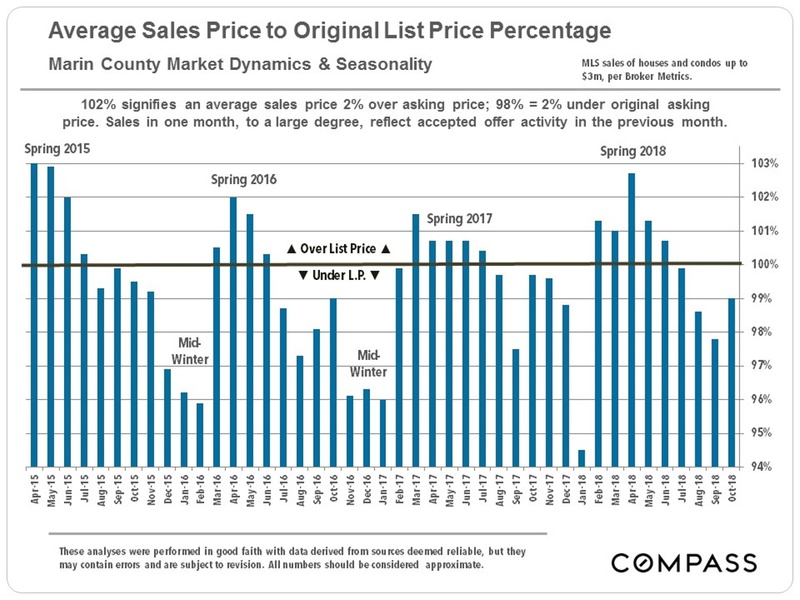 The average sales price to original list price percentage was down from spring, as is typical, but, at 99% (i.e. 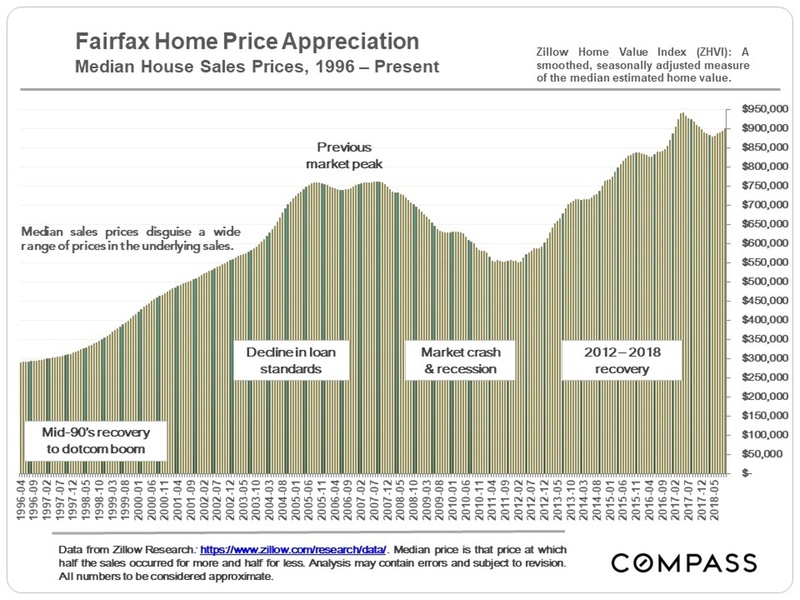 1% below asking price) about the same as the October percentages in the previous 3 years. 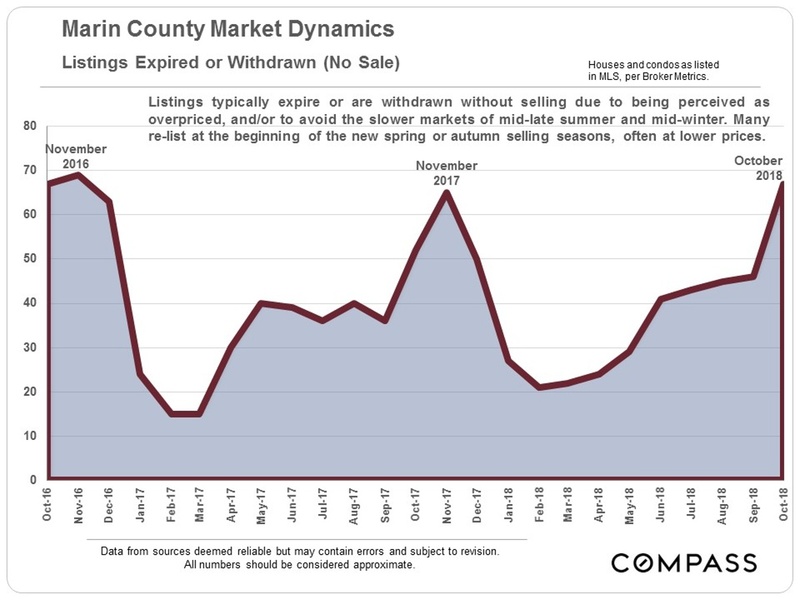 The number of listings expired and withdrawn from the market (without selling) ticked up in October, but the change was much less dramatic than in most other Bay Area Counties – Santa Clara saw a 208% increase. 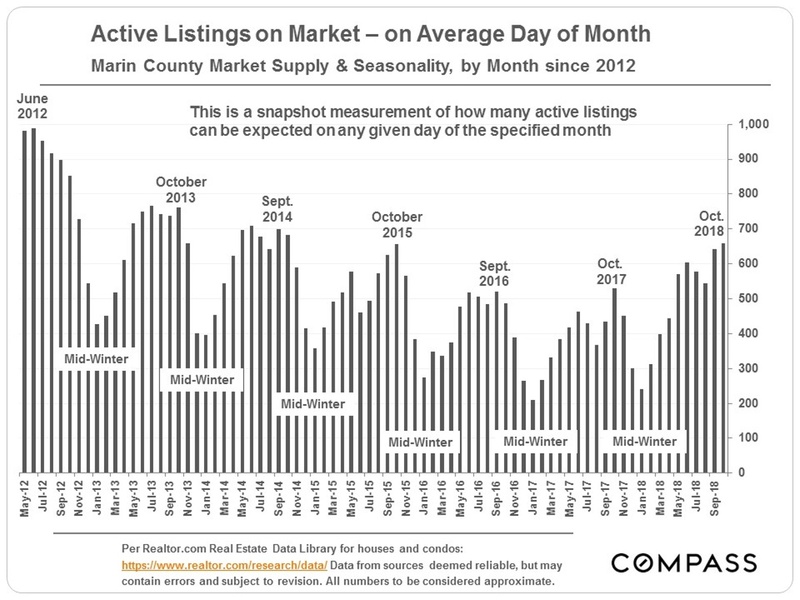 November is typically the biggest month of the year in Marin for listings being pulled off the market for the mid-winter holiday slowdown. 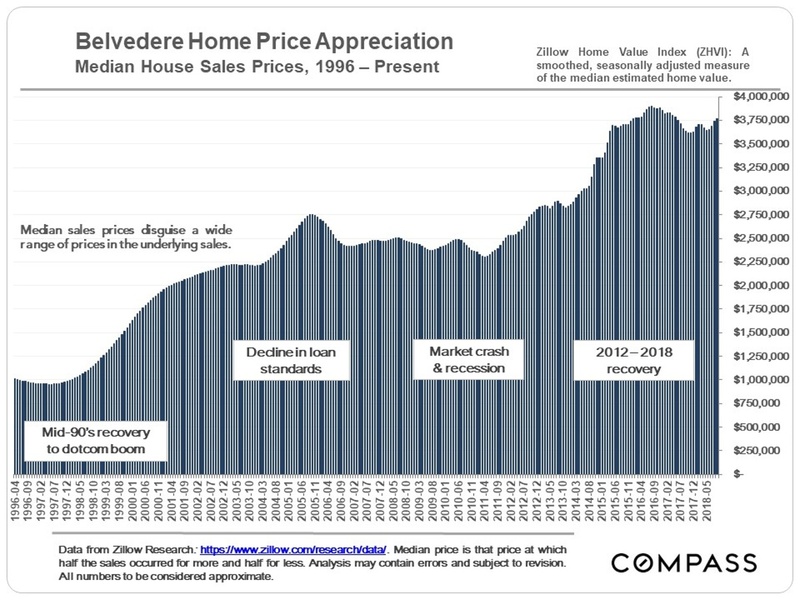 We will see if there are substantial further increases in November and/or December of homes that sellers have not been able to sell at the prices they currently consider acceptable. 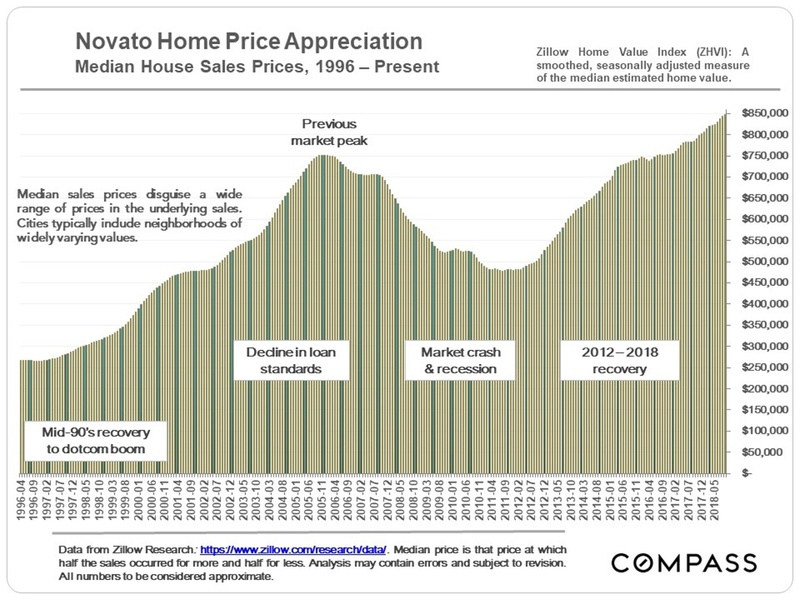 One indicator of a changing market is a growing disconnect between buyer and seller expectations. So far, those listings selling this autumn have generally sold relatively quickly. But this statistic is a lagging indicator and won’t reflect properties that have not yet sold, perhaps after necessary price reductions. If the market is in the midst of a sustained transition, future months may see significant adjustments in this metric. 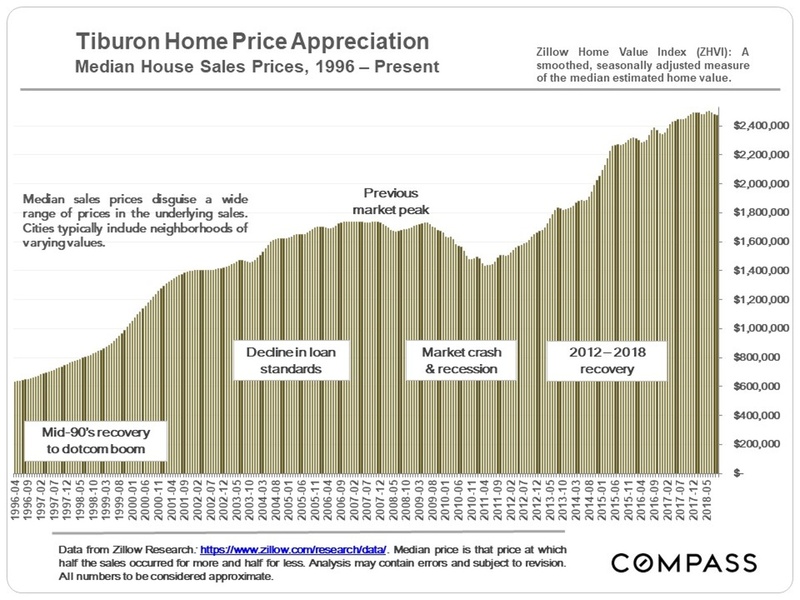 Year over year, the sale of homes of $2.5 million and above was down in August, flat in September and then way up – 58% – in October. However, compared to 2 years ago, October’s sales were basically flat. 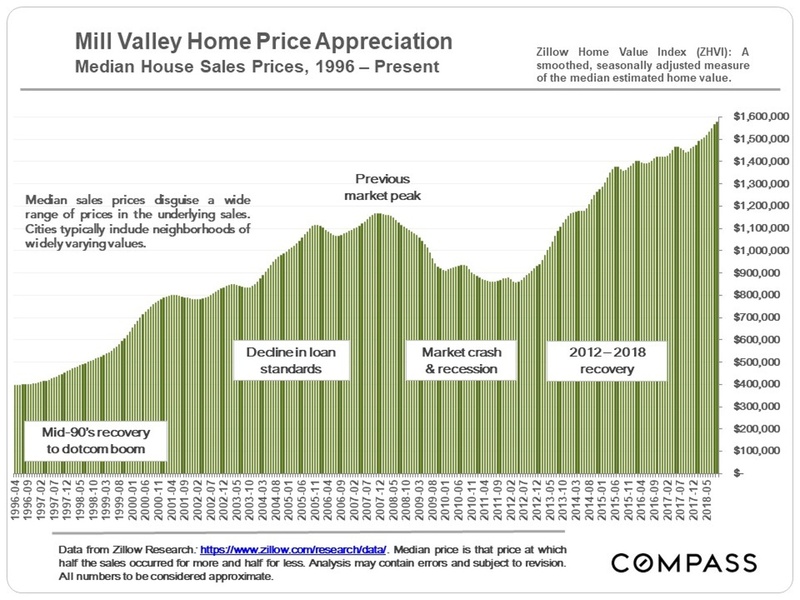 The following are seasonally adjusted, smoothed charts of estimated median house values. 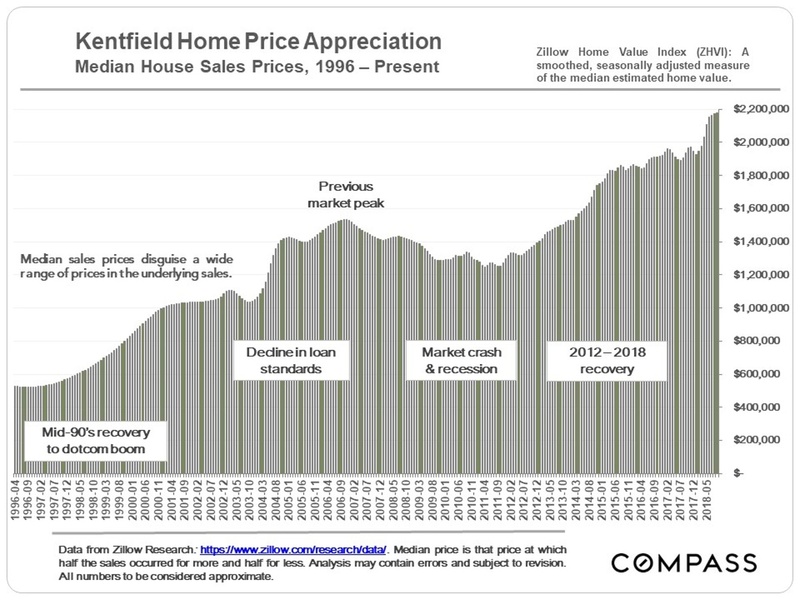 They are not based on MLS sales data, and their calculations can vary from MLS median sales price data – though the trend lines are typically very similar. The selected communities below are listed in alphabetical order. If you want information on a town not included below, please let us know.